The company's 2019 AV products are hitting stores now. Samsung has announced pricing for its full 2019 TV and sound bar lineup. The collection is led by the Q900 8K QLED TV, Q90 4K QLED TV, Q80 4K QLED TV, Q70 4K QLED TV, Q60 4K QLED TV, The Frame Lifestyle 4K TV, and Q Series Sound Bars. Check out the video below for a detailed breakdown of Samsung's 2019 lineup! 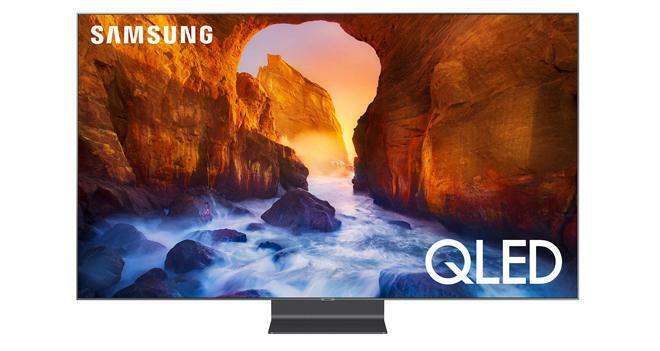 Samsung's 2019 4K QLED TVs feature the company's proprietary Quantum Processor, quantum dot tech with 100% color volume support, and HDR10/HDR10+ playback. In addition, the Q80 and Q90 series also include "Ultra Viewing Angle" technology to minimize glare, improve color, and provide a better picture from off-angle viewing positions. Likewise, the Q70, Q80, and Q90 TVs offer Direct Full Array local dimming for superior black levels. Meanwhile, the flagship Q900 8K QLED TV features a native 7,680 x 4,320 resolution 8K panel, along with quantum dot tech and Direct Full Array Elite local dimming to provide DCI-P3 WCG support, 100% Color Volume, and superior contrast. In addition, the TV includes AI-powered 8K Upscaling technology and Samsung's 8K Quantum Processor to upscale lower resolution content from any source to near 8K quality. Likewise, the set supports HDR10 and HDR10+ playback with industry-leading 4,000 nit peak brightness capabilities in Dynamic Mode and around 2,000 nits in Movie Mode (on the 85-inch model). Smart TV functions with Universal Guide, Bixby, Ambient Mode, a Far Field Voice capable OneRemote, and future support for Google Assistant and Amazon Alexa are also integrated. Finally, Samsung's 2019 QLED lineup will include access to the iTunes Movies and TV Shows app as well.